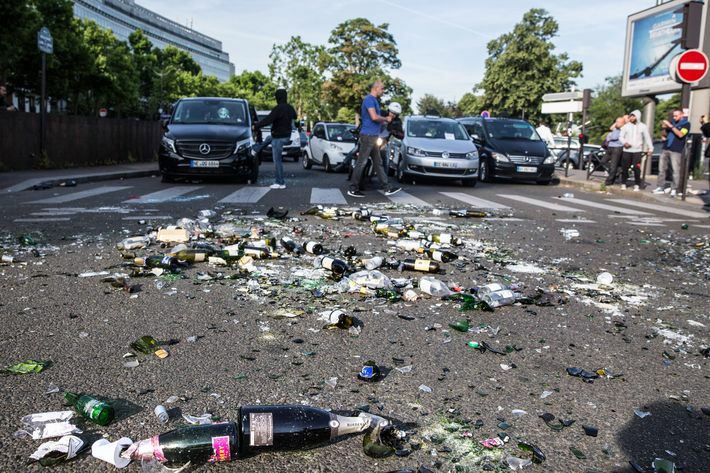 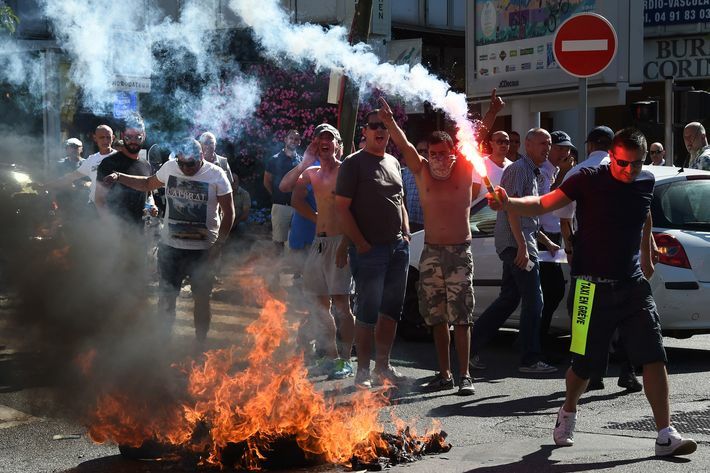 France’s taxi drivers made their hatred for Uber very clear on Thursday with a massive protest that blocked access to Charles de Gaulle and Orly airports, train stations in Marseilles and Aix-en-Provence, and a major road that rings central Paris, among other locations. 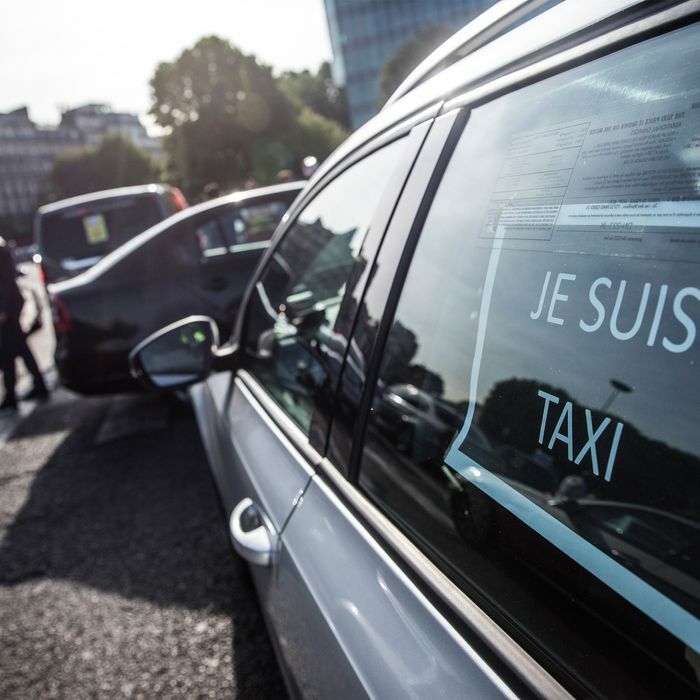 The cabbies are particularly displeased with the expansion of UberPop, which allows anyone who can pass a security check to act as a chauffeur, despite a French court’s recent ruling against the service. 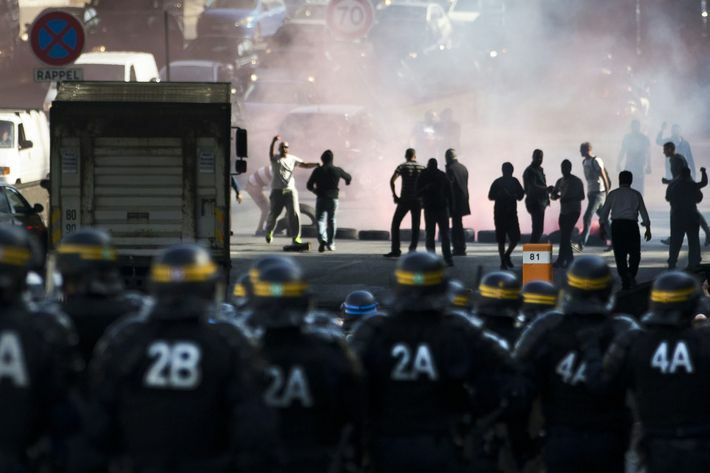 (A license to operate a cab in France can cost as much as $270,000, according to the New York Times.) 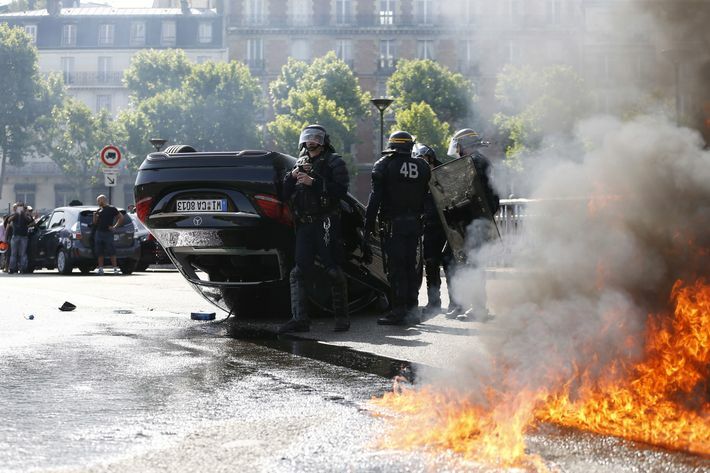 Various reports — not to mention many social media dispatches — have the demonstrators burning tires, overturning vehicles, and fighting with other drivers.